It is no surprise that one of the world’s largest countries is a treasure trove for those who love to travel. What’s surprising is the number of unique features Australia has to offer for its visitors. If you want to explore Australia’s greatest offerings, you will have to make sure that you visit during the right time. Moreover, you have to pay attention to which part of Australia you will be traveling to- the country’s size is so big that there will be changes in weather from one part to the other! If you are planning your trip to Australia, this is when you should start thinking about the best time to visit Australia. This guide will give you a brief overview and let you choose the right time to visit! 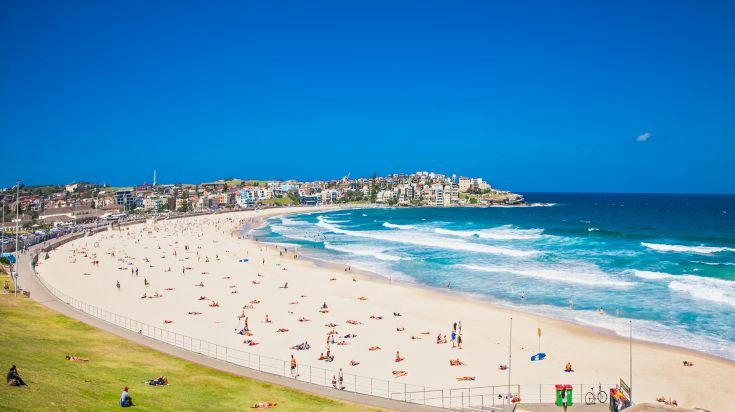 The best time to visit Australia is during the spring (September – November), and fall seasons (March –May), when the weather is pleasant. High season in Australia is between December – February, during the summer, but the weather would be quite hot, and the prices will be high during these months. Low season is between June – August, during the winter months. But it does not get too cold, so if you are okay with low temperatures, this is a good time to travel to the country for cheaper. Coastal Australia only has two seasons, dry and wet. The best time to visit the areas on the coast would be during the dry season (from April – November). The inner areas (areas you would be traveling to if you wish to visit Uluru, or road-trip across the country) are best visited between March – May, or September – November. 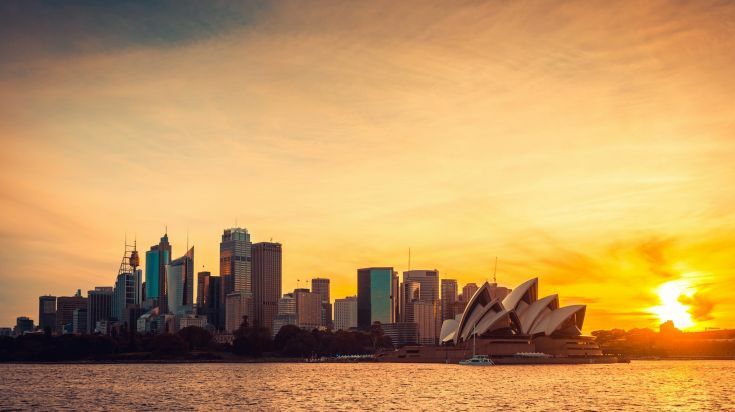 Australia is one of the most popular tourist destinations in the world for the country still maintains its rugged and natural scenery, along with great big cities and amazing nightlife. Anybody who has travelled to Australia can tell you just how friendly the people are. This is a trip you should not miss. If you are planning on visiting Australia, there are a number of adventures awaiting you. You can explore the legendary nightlife in Queensland, or go searching for the unknown in the Outback. The northern territories are home to the indigenous peoples of Australia- and this is where you can experience their ancient art sites, and their lifestyles. Of course, the thousands of miles of coastline await you- for sunbathing, or some surfing! Now, all you have to do is decide when to visit Australia. 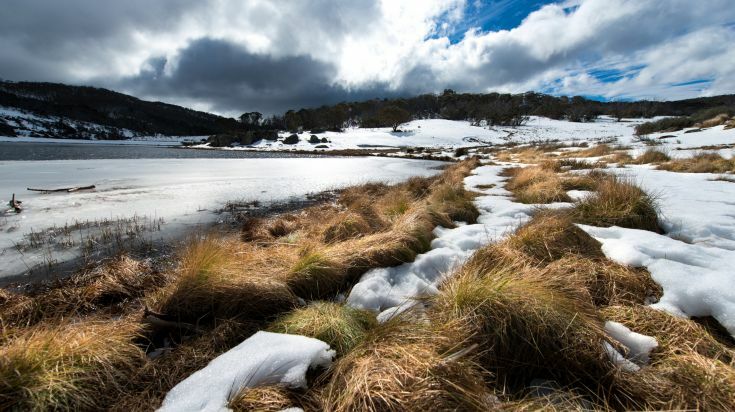 Weather in Australia will be the biggest determinant of this question, of course, so read on to find out what each season has to offer! The weather in Australia is close to perfect during these months. The sun is warm, but the skies are clear, with little to no rain. Moreover, you will enjoy pleasant weather that is ideal for outdoor activities and leisurely travel. If you travel in the earlier part of this season, you will be able to enjoy some quiet time, as tourists would not have started to arrive yet. The weather in the coastal area will also be quite pleasant- but the temperatures will start rising around November. Tickets and accommodation prices would be lower in the beginning of the season, but are sure to go up as December draws nearer, so the best time to travel to Australia would be the earlier part of the season. 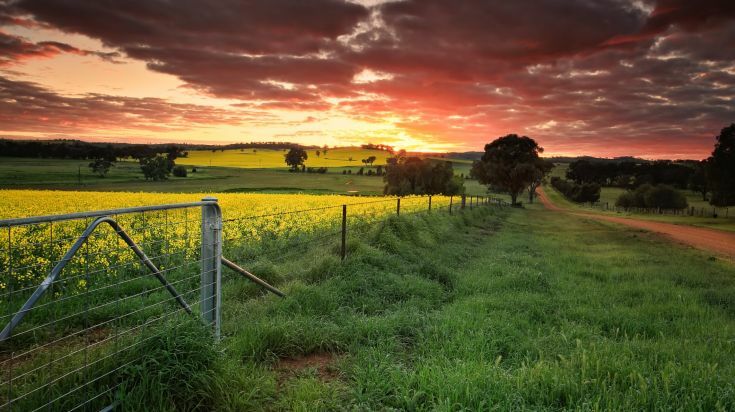 Highlights: This is the last season for you to travel to the coastal area before the heat and humidity begins, so make sure you head to Queensland and New South Wales during this season. This is a good time to visit the cities as well- the parks and greenery that are well known would look amazing during this season. There is no dearth of festivals during this season either – starting from the mind-blowing Sydney Fringe Festival, to the unique Sculpture by the Sea in Bondi. When visiting Australia, you should remember that the weather is always reversed. The peak of winter in the rest of the world is summer in Australia- a lot of people travel to the country just to escape from the cold winters. However, the summer heat can get rather stifling around January –February, so you should be careful about which areas you are traveling to during this season. By January, rainfall will start in a number of places. This is the high season in Australia, so expect a lot of crowds, especially during the December holiday season. Moreover, prices for travel and accommodation would be high, so make sure you book your tickets in advance. 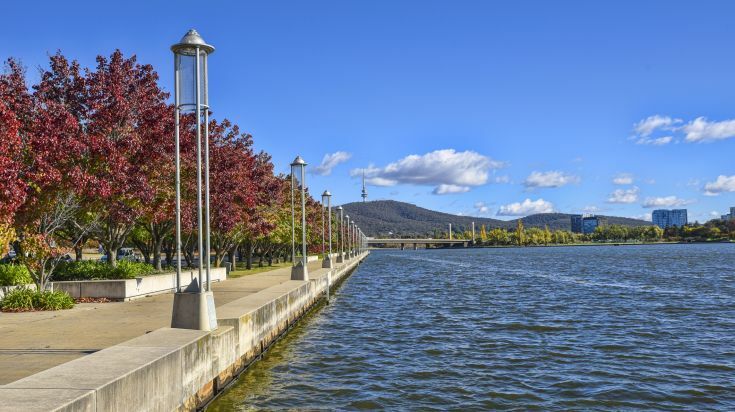 Highlights: Visiting Tasmania is a good idea as the weather will be much cooler in the islands, and give you ample opportunity to explore the beautiful landscape. The southern coasts and beaches are quite a popular destination during this period, and the entire area comes alive with some of the biggest and greatest parties thrown. Some of the events you should definitely not miss during this season include Sydney New Year’s Eve, Australia Day, and the wild Sydney Mardi Gras Festival (held in February or March). Fall in Australia is quite magnificent. The season is full of warm sunny skies and clear waters. The fall colours are also quite splendid, so if you’re road tripping across the country, this is the best time for you to do so. There will be some rainfall in March, so the coastal waters might be a little choppy. There will be fewer queues during this season, especially in the aftermath of the busy season. You can expect discounts in most of the hotels, and on airfare as well. Highlights: This is pretty much the best time to visit Australia no matter which part of the country you wish to go to. The weather in the inner parts will be really pleasant, so if you want to visit Uluru, this might be the best time for you to do so. In the tropical areas of the north, this is also the best season to visit, as the rains would have dissipated quite a bit. The rainfall in March might make your coastal plans a little wet. 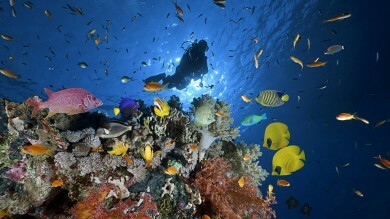 The fall season is also the best time to visit the Great Barrier Reef, and enjoy a stunning snorkelling session. If you’re a Grand Prix fan, the Melbourne Formula 1 occurs in March! Winters in Australia start when its summer in the northern hemisphere. The winter is rather bearable in the northern part of the country, and the coastal areas, but some places are really cold. There will be extensive rainfall in places like Sydney, especially in June and August. However, if you are accustomed to the cold and willing to adjust, you can enjoy great discounts during the off-peak travel season. Highlights: Travelling is cheaper and you might be able to get discounted offers. If you are visiting Australia during the winter, there are still a number of places you can head to like Tasmania, the northern tropics, etc. There are a number of festivals happening across the country- including the Australian International Music Festival and the Melbourne International Film Festival.